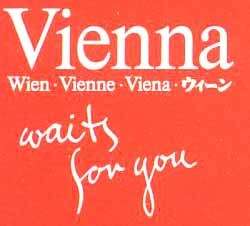 We arrived in Vienna by bus from Wroclaw, Poland about 5AM on Wednesday. We settled Rita into the train station with our bags, and I set out to check the area near the train station for a reasonable hotel. No luck. I has the name and address of a B&B I had found on the internet before we left home, but I didn't have a phone number. So around 7:30AM I set out by subway to locate the B&B and to see if they had a room. They did. We moved in, Rita took a nap, and I set out to explore the nearby area. 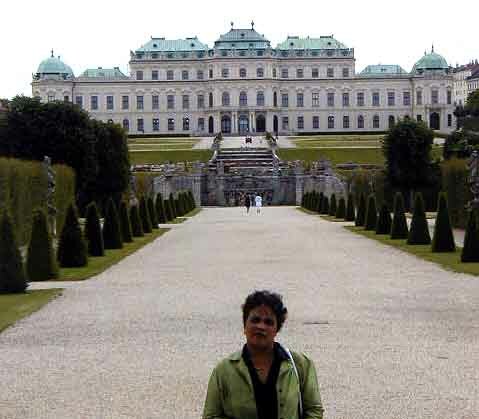 Thursday, we spent most of the day at Belvedere Palace, checking out the art, and enjoying a picnic on the grounds. Then we went downtown and walked around a little, including a visit to Saint Stephen's Cathedral. Friday morning we were on our way by train toward Geneva, Switzerland.